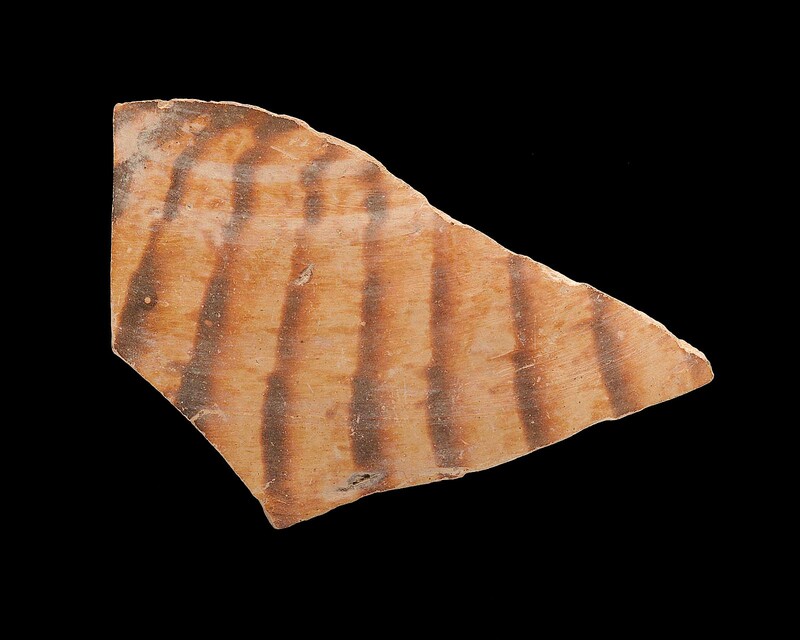 Fragment of vessel. Buff clay with ripple pattern exterior. Red slip interior. Pencil markings.